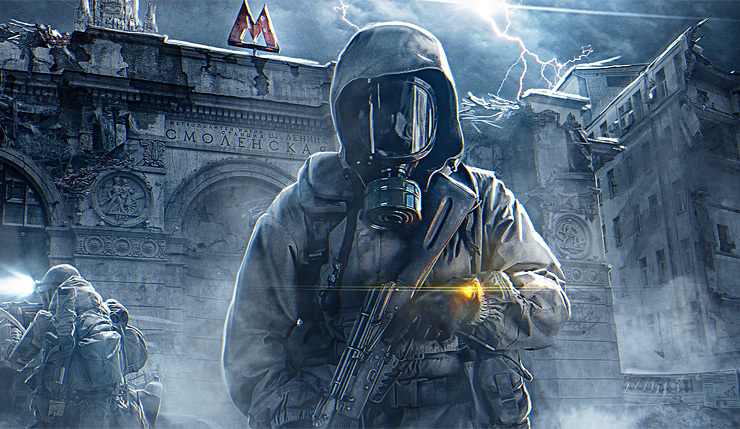 [Update] In an e-mail, the decision to delay Metro Exodus was explained. In addition, a new gameplay trailer was confirmed for this year’s E3 event. The development of Metro Exodus is progressing well; we are all really excited by what we are seeing. We have been constantly reviewing the games progress to ensure that we deliver a product that gamers and fans of the Metro series want and deserve, as well as keeping an eye on announcements from our competitor products. We want everyone to be able to experience what is the most ambitious Metro game to date at its absolute best and therefore we have taken the decision to move the release date to Q1 2019. We know that this will be disappointing news for fans that had hoped to play the game this year, but also know that you will appreciate the results that this additional development time and new release date will bring. We would also like to take this opportunity to confirm that at E3 in June we will be revealing some brand new gameplay from a never before seen game environment for you to enjoy. Thank you for your patience and understanding, we look forward to sharing more with you in June. [Original story] Metro Exodus has been delayed into 2019, while the release dates for both Biomutant and Darksiders 3 have yet to be determined. The delay was confirmed in THQ Nordic’s financial report for the first quarter of 2018. Initially slated for a release in Autumn 2018, the story-driven first person shooter from 4A Games is now slated for a release in the first quarter of 2019. “Along with them, we are all looking forward to Deep Silver’s next key release, Metro Exodus, now expected in Q1 2019”, the report reads. Meanwhile, other key releases from publisher THQ, including Biomutant and Darksiders 3, are still being evaluated for a release date. Both titles are expected to arrive on PlayStation 4, Xbox One, and PC later this year. Metro Exodus, which will use NVIDIA’s RTX Ray Tracing tech, was officially announced during Microsoft’s 2017 E3 conference.